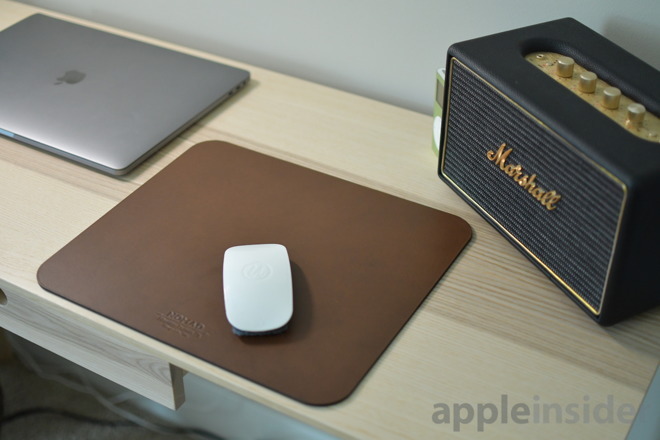 This oversized mousepad and working surface from Nomad is crafted from genuine Horween leather to complement any workspace —and AppleInsider has one. Mousepad is only the second Mac-focused accessory from Nomad, joining their 100W USB-C cable introduced last year. AppleInsider got to test it out for a few days and while it isn't nearly enough time for it to develop a nice rich patina, it has definitely earned a place by our Mac's side. 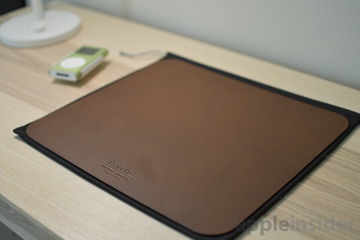 One of the biggest selling points of Nomad's Mousepad is the beautifully tanned Horween leather. Produced in Chicago, Horween's leather has shown up in many of Nomad's products including their Apple Watch bands. On top is Nomad's logo, subtly pressed into the leather. On the underside is one of Nomad's mottos "Designed for Adventure" molded into the textured non-slip base. 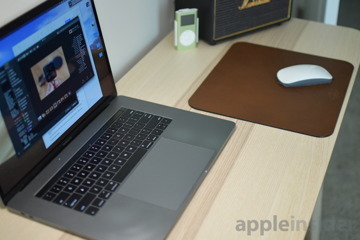 Apple has been known to include large and bountiful Trackpads on all the MacBooks, and that even extends to their Bluetooth Magic Trackpad. It seems fitting then that Mousepad is so large, coming in at 137 square inches. It did force us to rearrange a bit of our desk to make it fit, but once we had the space, we loved it. 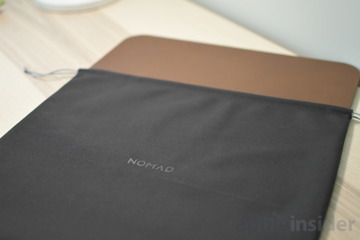 Nomad's Mousepad is assembled using a new process that uses heat to press the leather onto the textured base. The process is reminiscent of securing a photograph to a foam-core board before being framed which is done in a similar manner. It feels super secure, and not at all flimsy. Best as we can tell, a stiffer layer of plastic resides between the Horween leather and custom rubber base. Nomad's historical accessory product focus is not lost with Mousepad. An appropriately sized microfiber bag is included which makes traveling with it a breeze. 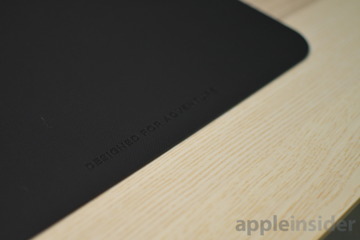 We do after all want Mousepad to wear naturally over time, and not be damaged in our bag. Like all good leather products, as it wears, they develop a beautiful patina, making it distinctly your own. Whether it is a well-worn watch band that forms perfectly to your wrist, or this Mousepad that will wear with use. Nomad's new Mousepad is available to order now direct from their website for $59.95. Not the cheapest of mousepads by any means, but it seems well worth it for the quality of materials, custom travel bag, and extra large size.